Many different types of vehicle are used as taxis. This is partly because of market choice but can also be a result of vehicle specifications required by local authorities. Most councils will accept most types of car as private hire vehicles, though there are usually some stipulations about engine size and seat width. Some borough and city councils have quite detailed specifications for hackney or public hire taxis. Known as ‘conditions of fitness’, these regulations often call for vehicles to be wheelchair accessible and may require additional features such as a safety partition or bulkhead. One very important decision for taxi owners is whether to buy a new or used cab. Naturally you can save money buying a used vehicle but there’s more risk involved, should anything go wrong. 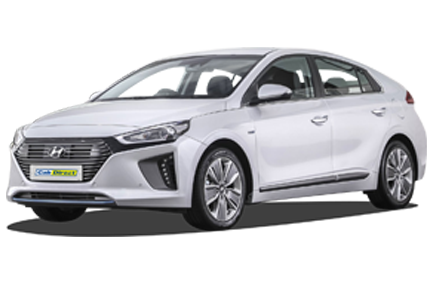 A brand new vehicle may seem more expensive initially but keep in mind that fuel economy is continuously improving and the latest model will save you time and money by going further on every tank of fuel. If buying used, make sure you get a decent warranty – reputable dealers should offer 12 months cover. A new vehicle means added peace of mind and will protect you against costly repair bills by giving you a longer and more comprehensive warranty. Typically manufacturers offer three years of 60,000 miles whichever comes first. As taxi cabs are working vehicles, that means you’ll reach the mileage limit first but 60,000 miles of hassle free driving is well worth having. Some marques, like Toyota for example, will cover you for a whopping 100,000 miles. If you’re buying a purpose-built taxi you may be able to get extended warranty cover for key items like your engine and gearbox. The Peugeot E7 black cab is a good example of this. The type of vehicles in the hackney taxi fleet in any given area is likely to be influenced by the local conditions of fitness. London and a couple of smaller towns in England still require a particular turning circle, based on a horse and carriage turning outside the Savoy Hotel in London. It used to be believed that this magic turning circle was essential for busy urban areas but over the 2000s almost every major town and city in the UK and Ireland has dispensed with this antiquated rule, without any adverse effect on the operation of local taxi services. 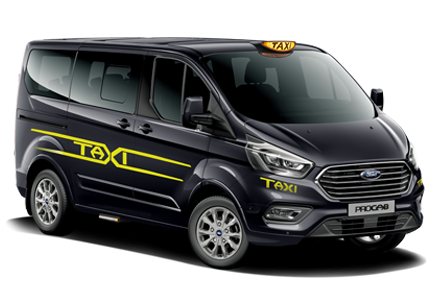 The upside of this change, for the taxi trade, has been a wider choice of vehicles, including more economical modern cars, for use as hackney cabs. Taxi passengers have also benefitted from more comfortable and reliable cabs. Quicker and safer access for wheelchair passengers has been another advantage. Unfortunately London still hangs on to the old regulations, meaning that cab owners there have a very limited choice of very expensive vehicle types. Taxi fleets still vary hugely around the country, largely as a result of different local authority cab specifications. Some local council’s require all cabs to be wheelchair accessible, whereas in other areas new cab licenses, issued from a certain date, must be wheelchair accessible. Taxi ranks in these areas therefore have a mixture of new-license vehicles, which are wheelchair accessible vehicles and old-licenses – known as ‘grandfather rights’ – which can be any approved vehicle and so are often standard saloon or estate cars. Another local difference with hackney taxis is the type of certification that local council’s require to show that a cab is constructed safely. ‘Type Approval’ means having technical documents to back up the way a purpose-built taxi – like most wheelchair accessible cabs – has been designed and built. Different councils set different standards for this, with the highest being EC Whole Vehicle Type Approval. Specialist taxi suppliers should be able to guide you on what is needed in your area, so you don’t end up with a new or used taxi you can’t get licensed. You can also get in-depth advice on meeting local licensing vehicle specifications from specialist taxi suppliers like Cab Direct.